SFI 3.2A/5 Certified (SFI 5) The all new 2018 Velocity 5 Race Suit features lightweight PROBAN(R) semi-gloss out layer and a Nomex(R) knit inner liner, 360 degree shoulder gussets for maximum range of motion as well as Flexible back panel for superior fit, flexibility and comfort. 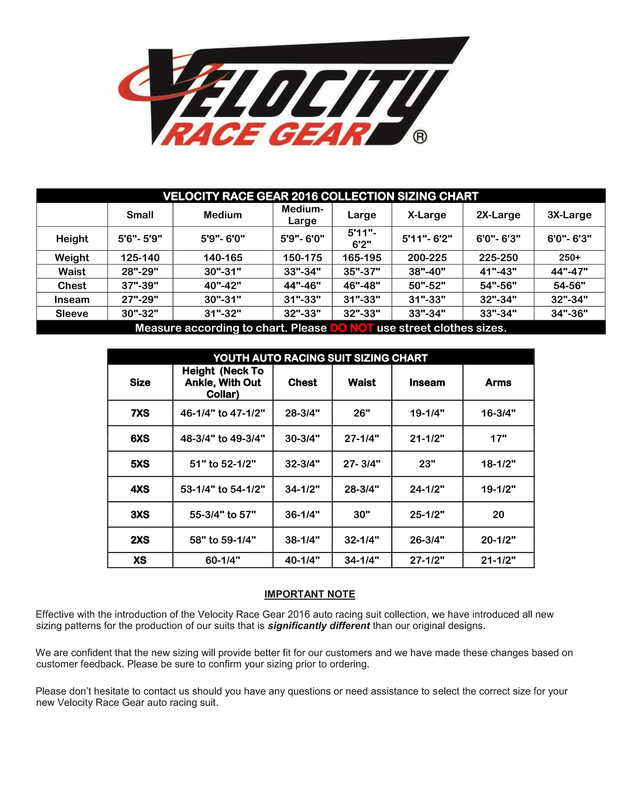 Refer to the Velocity Race Gear Suit Sizing Chart to determine the correct size for your Velocity Race Suit. The all new 2018 Velocity 5 Race Suit features improved materials, updated styling and new sizing options that will continue to make the Velocity 5 Race auto racing suit a favorite of racers everywhere. 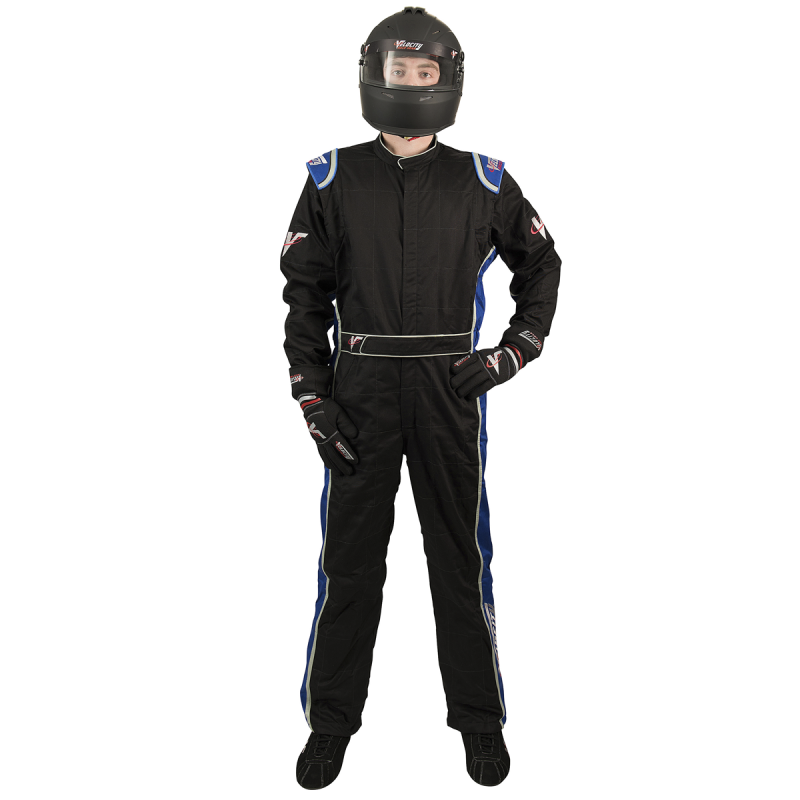 Velocity Race Gear Race Suits are made from the highest quality flame retardant materials. 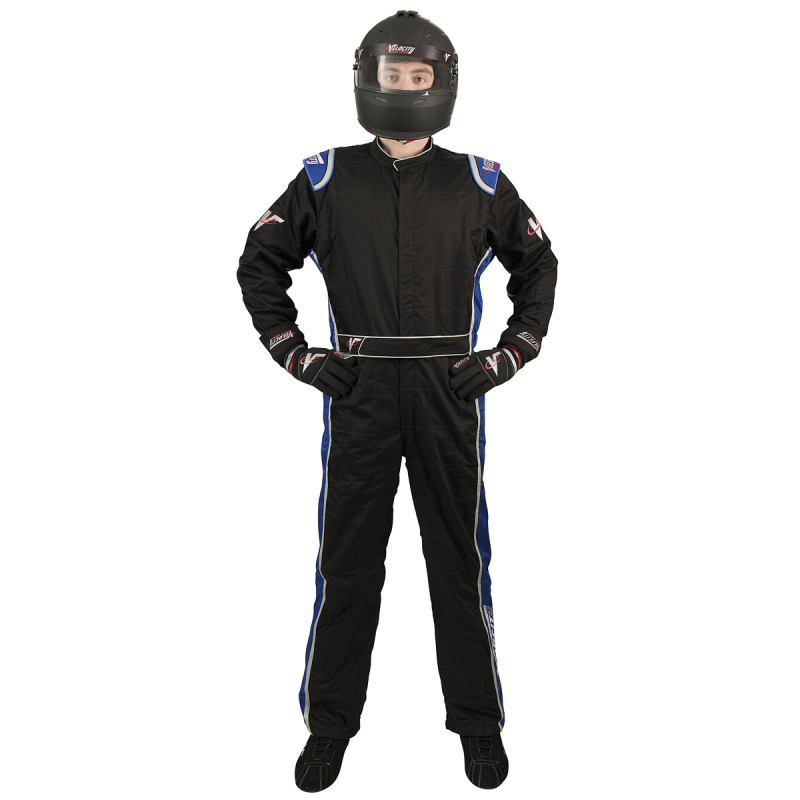 The Velocity Race Gear Race Suits are made from the highest quality flame retardant materials. The Velocity 5 Race Suit is designed to provide the racer with a professional, custom looking auto racing suit with best-in-class features at a price that offers the best value in racing. 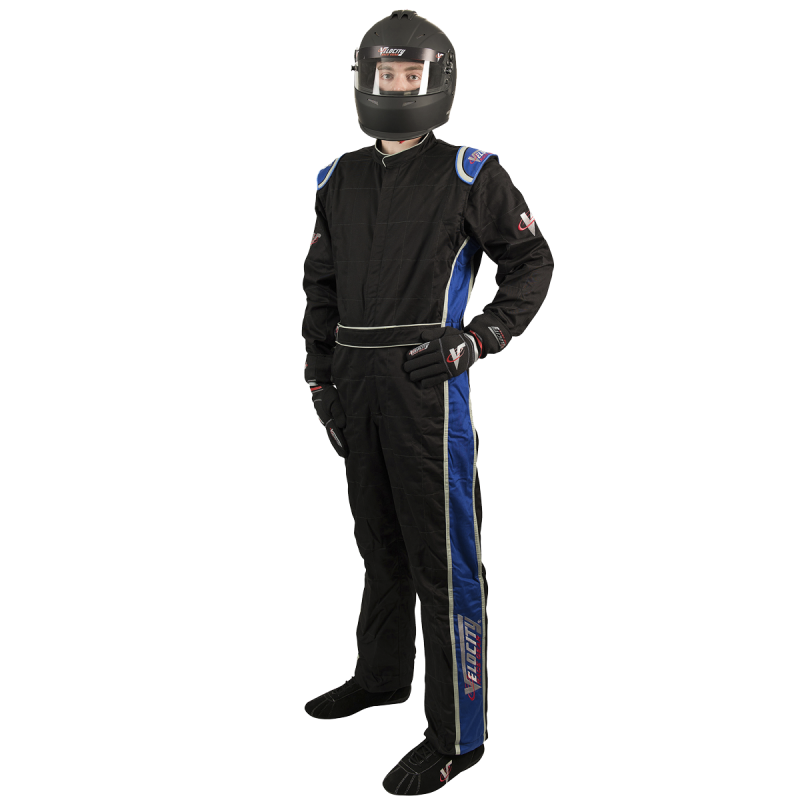 The Velocity 5 Race is a Multi-Layer Race Suit is produced with a lightweight outer layer of PROBAN(R) fabric with an attractive semi-gloss finish and a Nomex(R) knit inner liner. The SFI 3.2A/5 certified Velocity 5 has an outstanding 22.05 TPP rating. The great looking Velocity 5 Race driving suit features bold styling that stands out from the others and gets you noticed by fans and sponsors alike. PROBAN(R) is a quality controlled technological process that gives cotton and cotton rich woven and knitted textiles flame retardant properties that are durable to long term use. Articles manufactured from PROBAN(R) fabrics provide reliable flame retardant performance and peace of mind to racers throughout the world while conforming with industry fire regulations. The Velocity 5 Race Suit shoulders are accented with all new epaulets to compliment the full length stripe with contrasting trim. 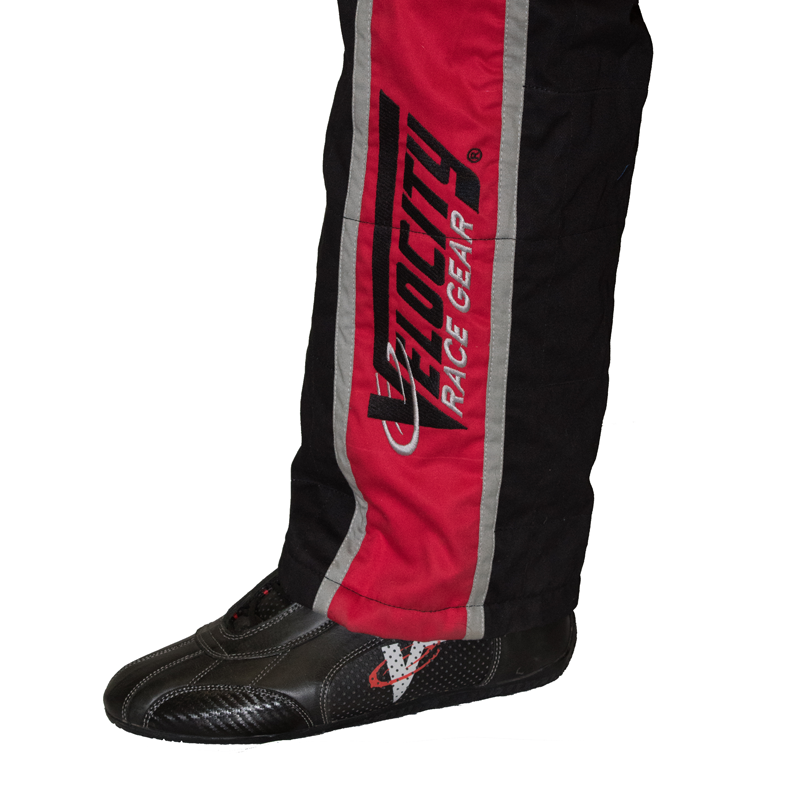 The Velocity 5 Race also features straight-leg boot cuff design that is the favorite of today's drivers. The Velocity 5 Race Suit comes standard with 360 degree arm gussets that provide for a full range of motion for the driver and a flexible back panel with contrasting trim that make this suit the best fitting and most comfortable in its price range. The new low rise collar design improves driver comfort. The Velcro-adjustable belt provides perfect waist fitment while offering a perfect place to embroider your name. 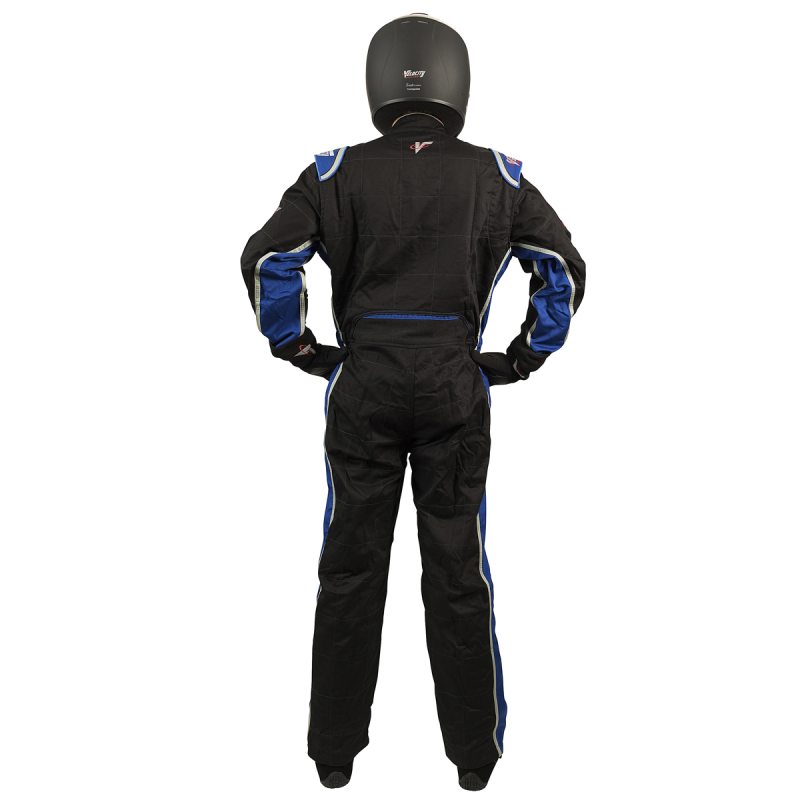 The semi-gloss finish complimented with bold Velocity Race Gear embroidery, inset side seam pockets and color matched cuffs to give the racer that professional look that up until now was only available in much higher priced auto racing suits. All Velocity Race Gear suits offer more features than any other suit for the price. Add a pair of Velocity Race Gear shoes, gloves and helmet for a great looking, top quality safety package at a price that won?t break your racing budget. 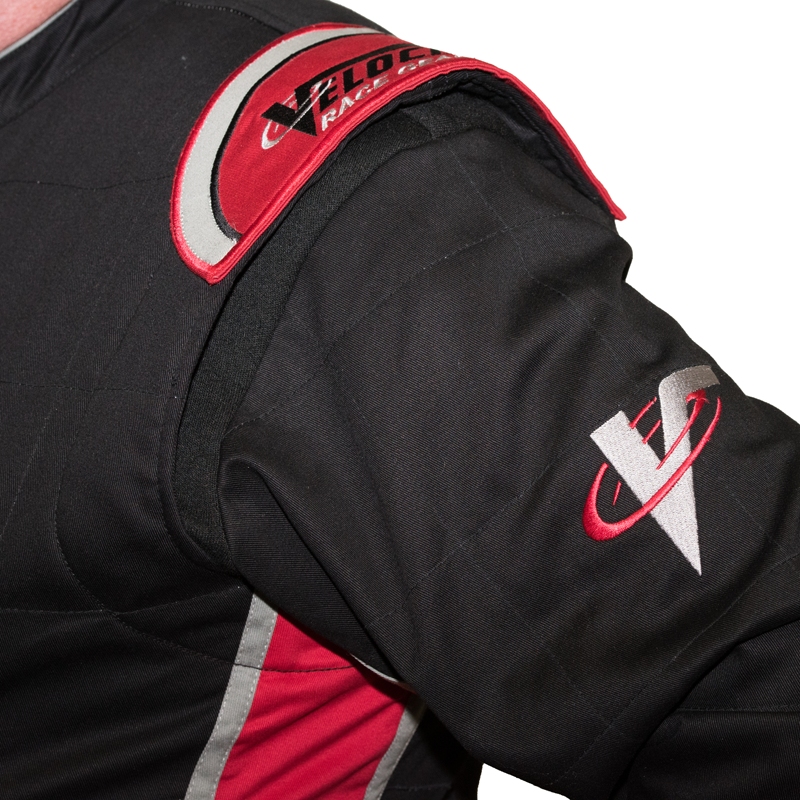 Velocity Race Gear...RACING TO WIN! Availability Remarks: Same Day Shipping! Get on our email list and receive exclusive online offers! Can't find what you need? Questions? Just ask us! ... Use our online email form to submit details on what you are looking for. 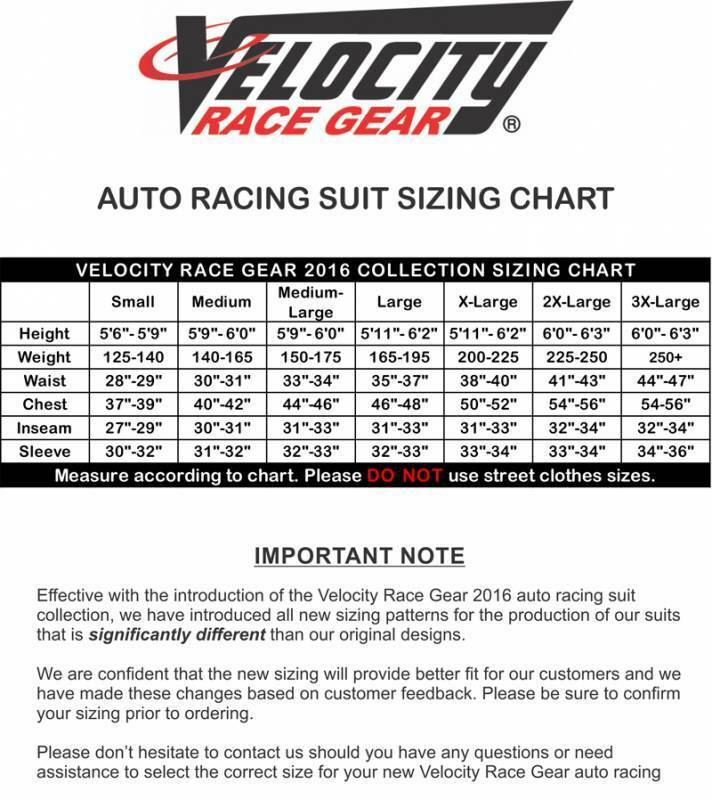 Why Shop At Velocity Race Gear? Velocity Race Gear offers the best value in racing. Orders received by noon Pacific time ship the same day. Our expert staff is here to assist you. All transactions are secured through SSL encryption. Copyright © 2019 Velocity Race Gear. All Rights Reserved.